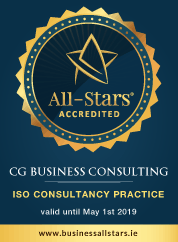 Your organisation could benefit from a FREE ISO 20121 Consultation with CG Business Consulting. What are the benefits of ISO20121? What is ISO 20121 Event Sustainability Management System? ISO 20121:2012 is a voluntary international standard for sustainable event management, it is suitable for all sizes and types of events. The standard aims to help organisations improve sustainability throughout the entire event management cycle. The ISO 20121 standard takes a management systems approach to running more sustainable events. It provides a framework to help identify the potentially negative social, economic and environmental impacts of events. Organisers can then remove or reduce negative impacts through improved planning and processes. The ISO 20121 standard can reduce costs, carbon emissions and waste; better manage the biodiversity of venues; and achieve a diverse and inclusive workforce. ISO 20121 also includes practical guidance on communications, operational planning and control, stakeholder identification and engagement, supply chain management and procurement, and issue evaluation.